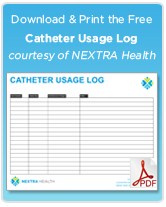 Last week, the Infectious Diseases Society of America has released the guidelines for the diagnosis, prevention, and mangament of catheter-associated urinary tract infections for adults. (18+) These guidelines are designed for any and all medical professionals and individuals involved directly with patient care. These guidelines are in the March 1 issue of Clinical Infectious Diseases. UTIs caused by catheterization is the number one cause of health care associated infections worldwide. 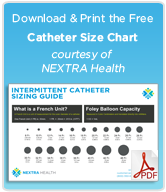 The guidelines aim to end unnecessary catheterization and the improper use of catheters. For instance, removing the catheter as soon as it’s not needed, and ensuring cathing is only performed when necessary. Cutting down on hospital infections decreases patient suffering of course, but it also lessens nursing time and the expense of treating UTIs that could have been avoided. Clinically significant urinary retention if medical therapy is not effective and surgical correction is not indicated. Urinary incontinence for comfort in a terminally ill patient if less invasive measures fail and collecting devices are not an acceptable alternative. Need for accurate urine output monitoring in critically ill patients. When the patient is unable or unwilling to collect urine (ie, during prolonged surgical procedures with general or spinal anesthesia; selected urologic and gynecologic procedures in the perioperative period). Overall, it seems the consensus is that indwelling Urinary Catheterization should not be performed in a hospital simply for urinary incontinence alone; one of the above requirements must be met. And of course, all staff should be informed of the correct policies and procedures for catheterization. While Catheter-associated UTIs still need more research in determining the ideal information, requirements, and practices for catheterization, researchers are positive that new advances in Urological health are accelerating and future development in this area will result in fewer UTIs.